Marcus Bell was named one of American Photo’s Top 10 Wedding Photographers in 2011 for doing it his own way. Achieving this moment of photographic enlightenment and attracting the clients that have made him famous didn’t occur overnight, Bell learnt about wedding photography working for established photographers as an unpaid assistant early in his photographic career. His initial photography passions were, however, landscapes and street images. A chance meeting with two commercial photographers who spoke of their passion for their paid work, gave Bell the “ah-ha” moment of his career. He realized the style that would make him a success was not the standard wedding photography methods that he had so far been exposed to, but an amalgamation of his passion and techniques for landscape and street images with wedding photography. As with landscape and street photography, where he was shooting a wedding wasn’t as important as the elements he found there, the primary ones being the wedded couple. That is why he uses the same mindset at weddings as he does when trekking through a wild landscape or walking the sometime equally “wild” streets of a city. Sounds and voices, the words people say, are not where he finds his creativity in wedding photos, but in the elements of shape, color, texture, movement, etc. of the people: the couple, wedding party, family members and guests. The interactions of the people with their environment told their story to him in a way that traditional wedding photography never had. His clients loved it too. His synergistic style was so different that maybe his greatest accolade is to have the photography world define his work with a word that describes no other photographer…weddingscapes. While his “weddingscapes” identify his work, he is equally adept at creating emotive images that show a unique attention to detail. He likes to capture the little things; the gestures, the touches, the looks that show a connection between people. This comes from understanding his client. For Bell this doesn’t mean getting to know every detail of their lives or necessarily becoming their best friend. Instead he simply listens to what they want in the planning stages, then watches closely for what they do on the wedding day itself. When he is in shooting mode, he says “I just look at the body language, the eyes, the hand movements, the gestures. They speak louder than the words people are saying.” By looking for that connection, Bell gives his clients more than they ask for, and has become one of the most in-demand wedding photographers around the world. The American Photo honor is just the latest of many that have recognized the excellence of Bell’s wedding photography. 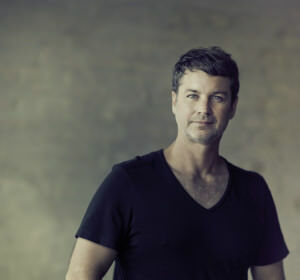 The BBC named him one of the top 10 wedding photographers in the world and he has been the Australian Wedding Photographer of the Year in 2003, 2005 and 2008. His studio is dotted with awards that show he has been a leader in the field of wedding photography for some time. This does not mean that his work has become “old school”. Quite the contrary, Bell’s latest accolade confirms that with an ever-evolving photographic style, passion and a genuine love for what you do, your work can remain contemporary and in demand for as long as you are open to it. Bell is a firm believer in sharing what he has learned, just as he was the beneficiary of what other photographers were willing to share with him. To that end, he hosts seminars and workshops for thousands of photographers in the U.S., Europe, Asia, South America and his part of the world, Australia and New Zealand. In addition, he has written books and created DVDs and other materials to reach even more aspiring photographers with passions for many genres.